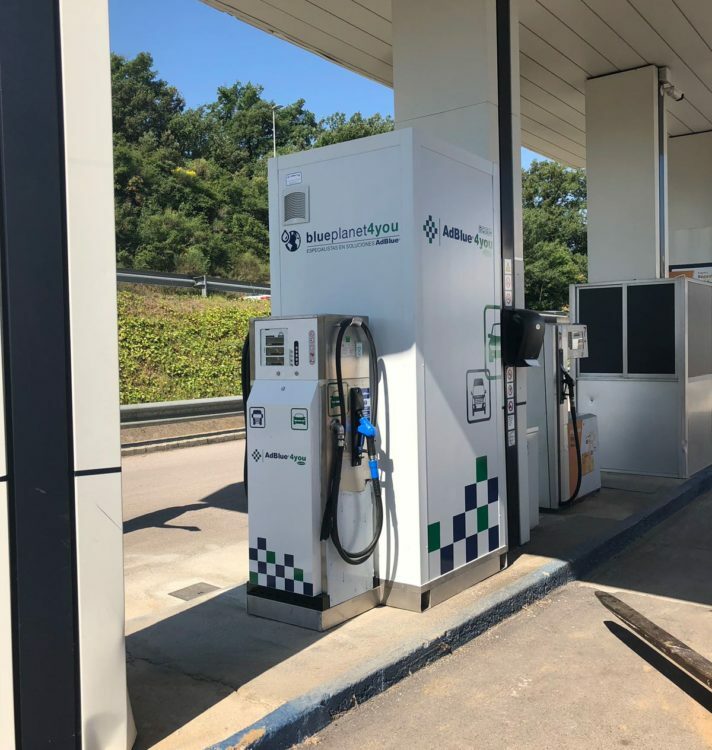 Over the past few years, GreenChem Spain has developed a unique relationship with local gas stations in the country. 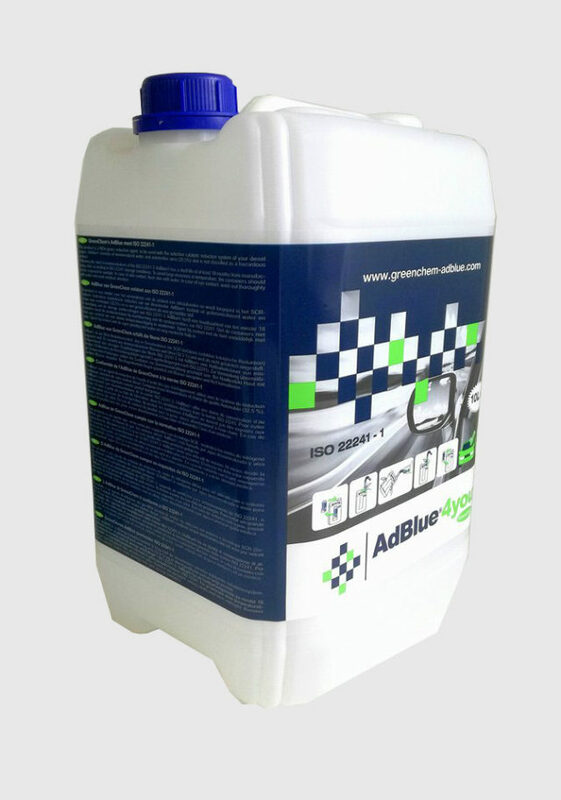 After AdBlue® (an agent used by SCR technology to remove particles from diesel exhaust) took a major role for cleaning diesel, GreenChem Spain wanted to talk to companies who are in direct contact with our end users. We knew that Spain had a wide and diverse network of more than 10,000 gas stations across its territory. 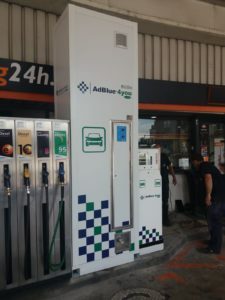 That’s why we had to find a unique and adaptable solution to make AdBlue® available on site in most of these stations. What are the issues with this wide market? One of the main issues we faced in working with so many stations is that some of them do not have the space or the financial capacity to invest in a tank or in large construction work. Sometimes, they don’t even know that they could have bulk AdBlue® on site. We all know these are difficult times for diesel cars, so we thought we could help these stations by allowing them to offer a service for AdBlue® which could bring in additional customers. Hopefully, this extra activity will contribute to keeping many of them open. However, these stations must comply with strict regulations regarding accessibility, work permits, equipment installed on site, etc. How do we address these challenges? GreenChem always promotes a neutral position in the energy mix. In response to the EURO V regulations 13 years ago, we pioneered in developing AdBlue® as we understood that cleaning diesel particles would become a key challenge in the coming years. Today, the EURO 6d regulation imposes stronger emission restrictions, and we are proud to be part of the cleaning process. 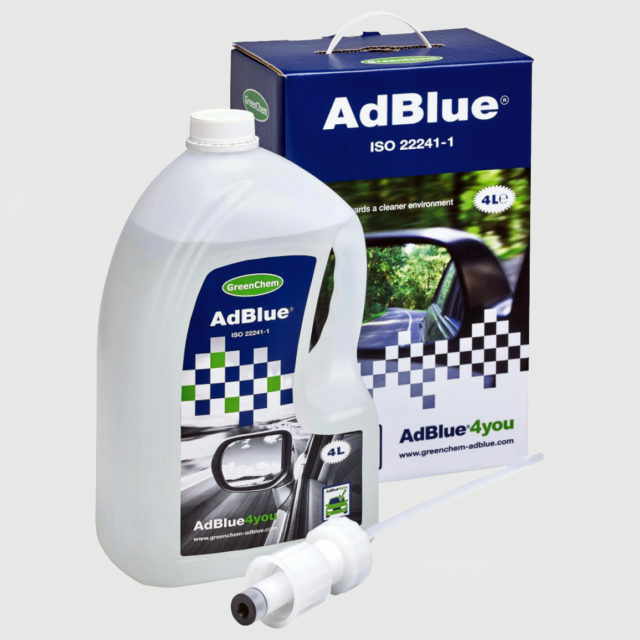 We also recently published a Green Book and several press releases to explain how AdBlue® can help and why it is important to be neutral as a company. In order to face all these new challenges, we established good working relationships with key industry players and we work with them to find the best tank for each station. Together, we determine what size of tank is appropriate, how it should be installed and what kind of equipment will be needed. These choices are crucial to make the gas station more attractive and practical to end users. Once the system is up and running, the station gets listed on our smartphone application, which we created to help drivers easily find AdBlue® for their vehicle. Wherever they are, the app will locate them and guide them to the closest station dispensing AdBlue®. 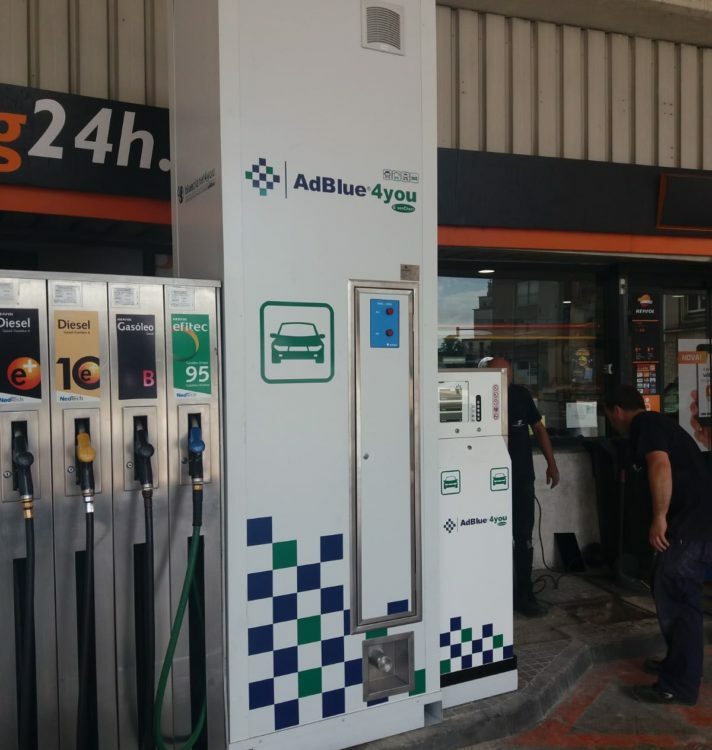 The number of AdBlue®-equipped stations is growing every year, helping us to offer the best experience to our customers. Is this solution good for our customers? Gas stations are definitely happy with a bulk solution. The tank approach lets them save shelf space for other products, and we come to their station a few times a month to refill their tank. This convenient solution attracts new customers and contributes to keeping the station running. 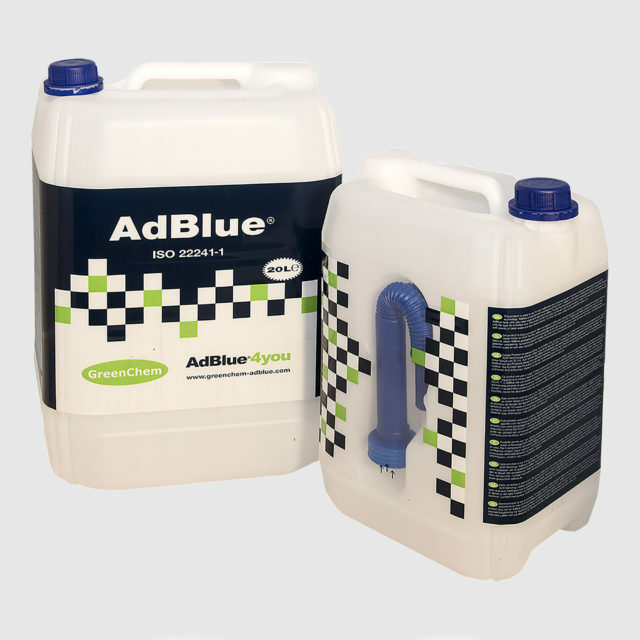 For more information on AdBlue®, click on this link. For more information on the SCR technology, click on this link. Do you want to receive more information from GreenChem Spain and discuss the possibility of installing an AdBlue® tank in your station? Please click on this link.